Subscription box services are all the rage right now. There are boxes for cosmetics, cooking, craft beer, doomsday preppers. I admit that I’ve been intrigued by all of them. But, the most practical for my purposes — the one that really caught my eye — was Cairn (as this seems to be a point of confusion, “cairn” is pronounced like the name “Karen”, but with a distinct dropping of the “e”). The company was kind enough to set me up with a six-month trial subscription gratis to see what they had to offer. My first Cairn subscription box just landed and I’m already impressed! Discover new gear: Receive 3-6 products (up to $50 value) monthly or 5-10 premium products (up to $350 value) quarterly, curated just for you. Go outside and do fun stuff! 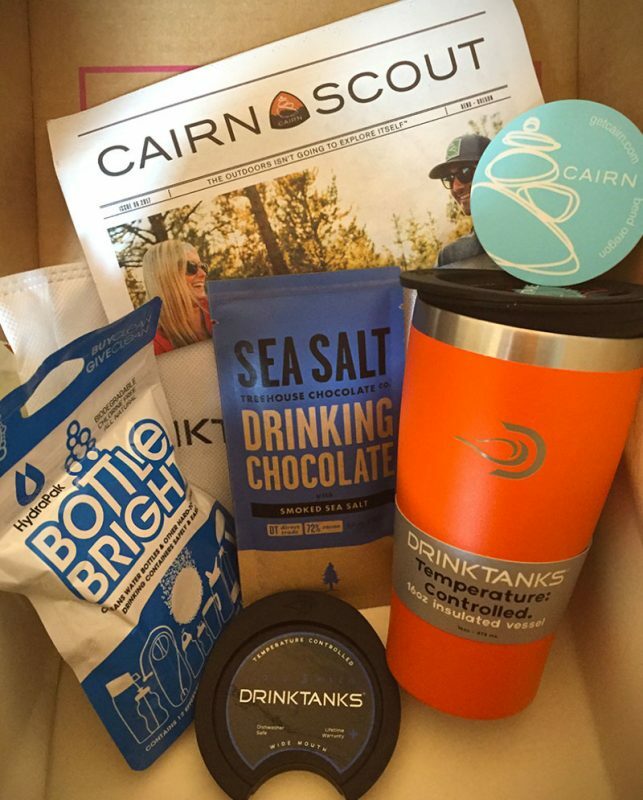 Cairn’s subscription boxes are carefully curated to suit your particularly tastes. Shortly after subscribing, customers receive an email asking them to fill out a quick survey so the company can get a better idea of what sort of outdoor-lover you are. Do you go paddleboarding every other day? Are you more into expedition-style mountaineering trips once a month? Or do you prefer smaller outdoor jaunts that fit into your 9-to-5 schedule? 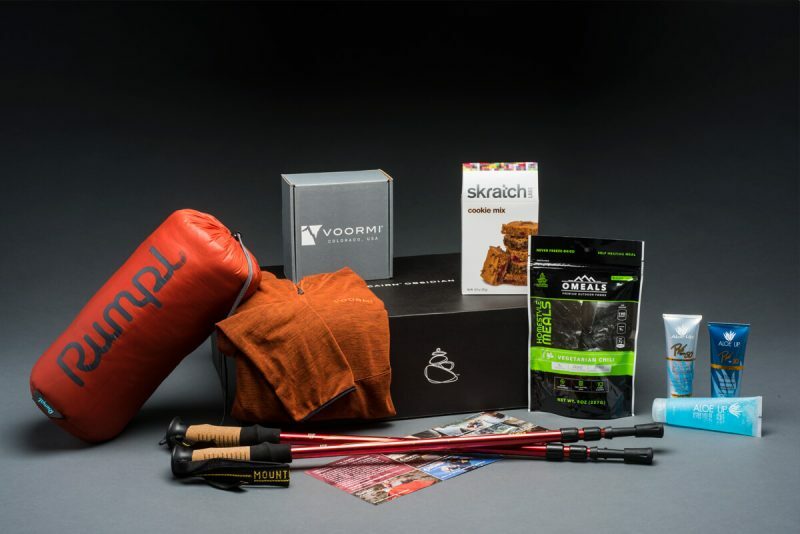 However you enjoy the outdoors, Cairn promises to gear (pun intended) its subscription boxes to your tastes. My first Cairn subscription box came packed with a sturdy, well-made DrinkTanks insulated hot/cold tumbler (with two lids), a dozen HydraPak Bottle Bright tabets (for cleaning Camelbaks, Nalgenes, and the like), and a packet of fancy, organic Smoked Sea Salt Hot Chocolate from Treehouse Chocolate (it’s like they know me! ), and the Cairn Scout monthly newsletter. All good stuff, in my opinion. I’d say we’re off to a good start and I’m stoked to see what they have in store for the coming months. I’ll update this post in the near future once I’ve received a few more boxes from Cairn. Obviously, if you’re a long-term traveler (I’m talking months at a time), this sort of subscription box service might not be a great option for you. Although, imagine how cool it’d be to come home to a stack of little Cairn subscription boxes full of outdoor goodies! Sign up today and save $10 USD on a 6-month subscription!